Home /Mitarbeiter /Wissenschaftliche Mitarbeiter /Christian Fleischer, M. Eng. 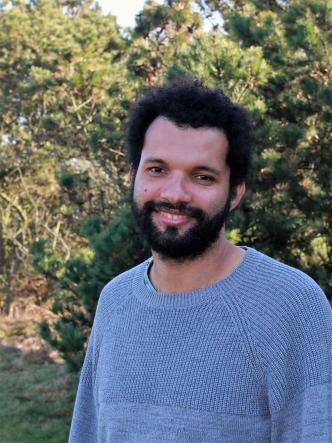 In 2009 Christian Fleischer moved from Seychelles to Germany to study Renewable Energy Technology at Nordhausen University of Applied Science. For his bachelor thesis he carried out a technical analysis of ways to shift the dependency of supply of energy from fossil based fuel to renewable energy technologies for a touristic island in the Seychelles archipelago. From 2012 to 2015 he was employed as a renewable energy engineer at the Seychelles Public Utilities Corporation. While working for the utility company his tasks included: maintaining an over-sight of the operation and maintenance of the Port Victoria wind farm; manage the process of connecting privately owned small scaled photovoltaic systems to the electricity grid; collect and distribute data required for energy related studies. In 2015, Christian Fleischer studied Energy and Environment Management at the Europa-Universität Flensburg. The topic of his master thesis was optimising the power system investments and electricity dispatch costs to meet the electrical demand of the main islands of Seychelles using only renewable energy sources. For his master thesis he modelled the power system using locally available GIS data and then used open source software to simulate different scenarios. Since May 2018, Christian Fleischer is doing research in the field of simulating sustainable energy system pathways for the twenty eight European countries. He is one of 15 other early stage researchers selected to be part of the ENergy SYStem in TRAnsition (ENSYSTRA) Innovative Training Network.